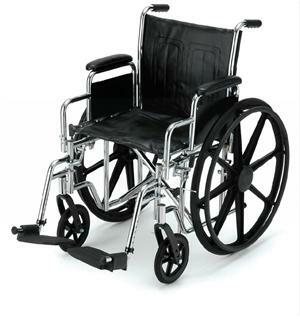 The Golden Compass TRO is the first tilt-seating power wheelchair offered by Golden Technologies. 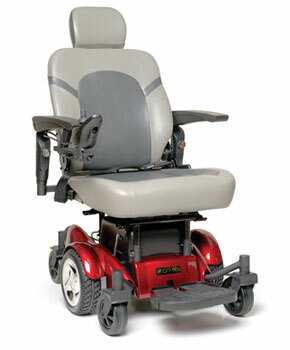 The result of a partnership with Motion Concepts, one of the industry's leading tilt-seating companies, the seat features 55 degrees of tilt with only 7 inches of shift; a low 20-inch seat-to-floor height; and a slotted seat pan and steel back pan. 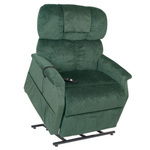 The seating system has height- and angle-adjustable flip-back armrests, as well as slotted telescoping leg rest receivers, and it is compatible with all front rigging. 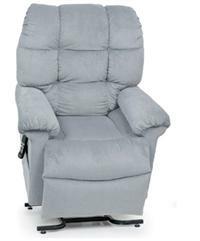 The Compass TRO power base is available with a variety of seats — including the high-back captain's seat, stadium seat, van/pan seat, ProFlex seat — and the single-option tilt or recline seat frame. With a range of 12 miles and a 300 lb. weight capacity, the center-wheel-drive Compass TRO base reaches a top speed of 6.5 mph.